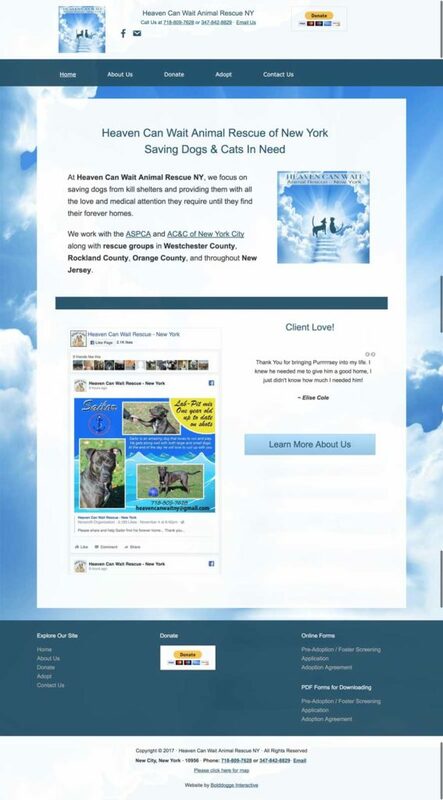 Heaven Can Wait is a small animal rescue group in New York who needed a website to complement their Facebook page. I set up some Donate buttons for one-time donations and for recurring donations to make it easier for supporters to help the animals. The business owner, Ruth, created this rescue group in memory of her late son, Michael, who, as a total animal lover, was always bringing home strays. So the part of this project that was so special to me was hearing about Michael and being able to include a tribute to him that Ruth could be proud of. Rest in Peace, Michael.